Foo Fighters' guitarist Chris Shiflett boot-scoots into The Big Dipper Friday. 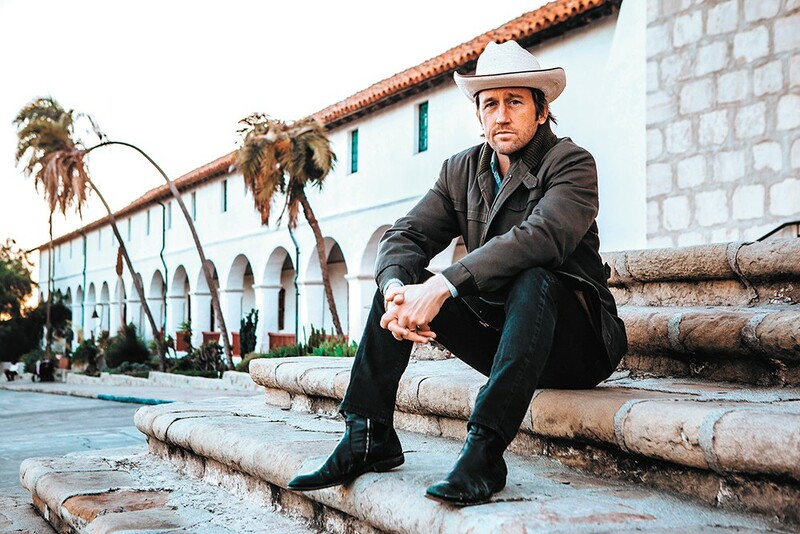 The driving honky-tonk rhythms and distinct twang slathered across Chris Shiflett's new album didn't exactly come naturally for the longtime Foo Fighters guitarist. His side gig as an alt-country singer/songwriter developed slowly through the years, well after he'd established himself as a six-string ace with punks No Use for a Name and then Dave Grohl's crew. "I grew up listening to rock and roll, not country. I did not think country was cool at all," Shiflett says from his SoCal home, where he's preparing to head out on tour in support of his new collection, West Coast Town. The only twang he remembers growing up came from early Rolling Stones, Beatles and Elvis Presley songs. Later, a roommate turned him on to rockabilly and Sun Records, and "that was probably my real introduction, the most obvious stuff: Johnny Cash, Patsy Cline, Hank Williams, those types of records." His interest in the dusty sounds of classic country expanded when so-called "alt-country" bands like Uncle Tupelo and acts like Dwight Yoakam and Social Distortion started getting some attention for blending modern rock with traditional country tropes in the early '90s. Shiflett started playing around with country sounds on songs he worked on between Foo Fighters' massive tours, and since 2010, he's been writing and releasing albums full of solid songcraft, as well as hosting a podcast called Walking the Floor since 2013. It's dedicated to interviews with country legends like Merle Haggard and up-and-comers like Kip Moore. One of those interviews, with Nashville uber-producer Dave Cobb (Chris Stapleton, Jason Isbell), led to Shiflett recording West Coast Town, out April 14, in Nashville. Shiflett admits jumping into Cobb's studio with the producer's hand-picked musicians was "very intimidating" for a California-raised punk-rocker. "I went in there kind of flying blind and it was just the best experience, so great," Shiflett says of the sessions, which produced killer tracks like "Sticks & Stones" and "Blow Out the Candles." "He's so much fun in the studio and just had a massive impact on the way these songs turned out." Shiflett's tour options for West Coast Town are limited by his full-time job: Foo Fighters' engines are starting to rev for work later this year, so he'll be on the road for short jaunts like the one bringing him to Spokane on Friday. It's clear, though, that Shiflett will keep making twang-infused music and doing his podcast for the foreseeable future. Even if he wasn't born a country fan, he's a lifer now, relishing the opportunity to be part of the country community.